Sebastian Vettel has accused Lewis Hamilton of being at fault for their collision in Sunday’s Italian Grand Prix. Vettel is now a distant 30 points behind in the championship race after he finished only fourth and Hamilton claimed a brilliant win in Monza. The flashpoint arrived after only four corners when Hamilton and Vettel tangled at the second chicane. Hamilton took advantage of a slipstream off the back of Vettel’s Ferrari to line up a move on his rival. Vettel covered the inside, but Hamilton moved to his right to take the racing line, and he was ahead of the Ferrari car as they took the corner side-by-side. Vettel appeared reluctant to give up the place, and the right-hand side of his Ferrari made contact with Hamilton’s Mercedes. Vettel spun, dropped to last, and had to pit for a new front wing. The stewards reviewed the incident, but took no action. “I didn’t want to try something silly so I left a gap, and Lewis saw a little space around the outside of me,” Vettel said. “But then he didn’t leave any room. I had no other chance than to run into him and make contact. Hamilton’s long-time rival Nico Rosberg, however, claimed on Sky Sports commentary that Vettel was “100 per cent at fault”. Later, Hamilton was asked for his response to Vettel’s claim that the first-lap move was “silly”. “It worked,” he replied. “It was a racing move and that is what we are supposed to do out there. We are supposed to be racing. “I left him space and I was still on the track. “When we went into turn four, I was a bit surprised that he chose the inside line and did not go for the outside. Lewis Hamilton stunned the Ferrari crowd with a remarkable victory at the Italian Grand Prix following a late move on Kimi Raikkonen, and an opening-lap collision with Sebastian Vettel. Pole-sitter Raikkonen looked set to win his first race in more than five years, and Ferrari’s first at their homeland since 2010, but Hamilton executed a brilliant pass on the Finn with just eight laps remaining. Vettel, who fell to last after his coming together with Hamilton, recovered to finish fourth, but the German is now 30 points behind his championship rival. Valtteri Bottas completed the podium places. Here, we look at the key takeaways from Monza. The Englishman produced a majestic performance to clinch his sixth win of the season – and fifth at the Italian GP. 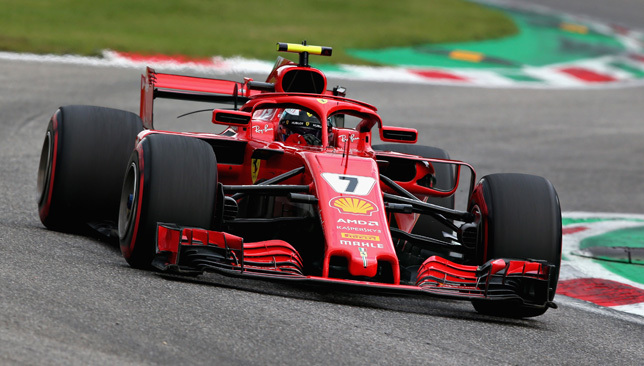 The Britons superb move to go around the outside of Raikkonen on lap 45 was effectively the moment that secured victory, and no doubt broke the thousands of Ferrari hearts at Monza. 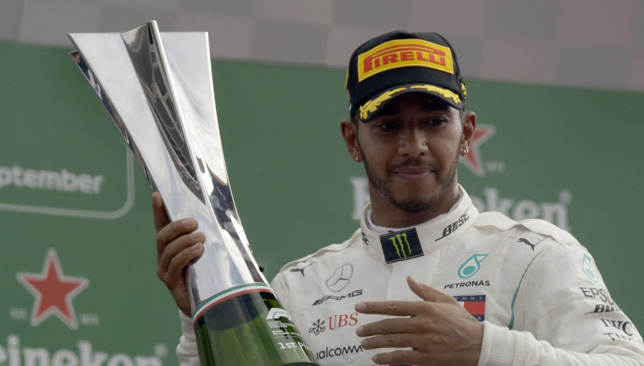 It was another nail in the coffin, after Hamilton overtook Raikkonen’s Ferrari teammate Vettel on the first lap, and resulted in his title rival slipping down to 17th place. With seven races remaining, Hamilton is only going to get stronger and it looks like his grip on a fifth title is slowly strengthening. The 33-year-old extended his lead in the drivers standings to 30 points and needs to stay composed and minimise his errors behind the wheel for the remaining races. If he can do that then expect him to join Juan Manuel Fangio on five titles. An eventful day for the German. 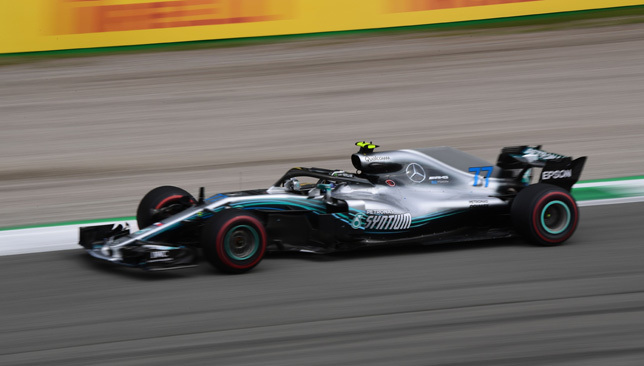 Starting P2, he looked to have lost his composure when Hamilton took him on the outside on the first lap and then he oversteered in sheer panic, hitting Hamilton and spinning down to 18th. Although he managed to finish a formidable fourth, it’s the first season that he has ever had this sort of pressure in the title race and he looks to be buckling under the intensity of it. With the gap widening in standings, this looks to be a crucial moment in the title race, especially with Ferrari failing to capitalise on the frontrow advantage coming into Sunday’s race. Although no driver will enjoy the tag, Bottas carried out a superb wing man job for Hamilton’s win. Raikkonen was four seconds clear of Hamilton after the Briton’s pit stop, but after being held up by Bottas for five laps, the gap between Raikkonen and Hamilton was cut to less than a second, allowing the British driver to slip pass to take the lead on lap 45. For his trouble the Finn finished fourth, but was promoted to a podium, after Max Verstappen refused to let him pass on lap 42. A sixth podium of the season will surely add some gloss for his hard-working day at the office, but if things had gone his way with the car in previous races, he could be right at the sharp end of the championship alongside his teammate. It was another disappointing day for Daniel Ricciardo, who retired on lap 25 after power-unit failure. 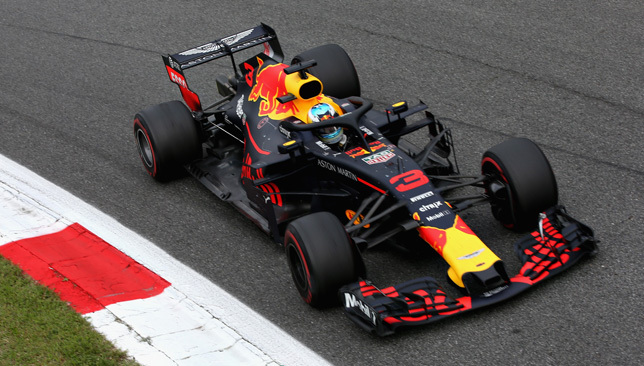 What will frustrate for the Red Bull team is that the failed engine was only installed into the Australian’s car earlier this week with the Singapore GP in mind – a track that has favoured them in the past. The 29-year-old, who will join Renault next season, has retired in four out of the past six races, while his teammate Verstappen has retired three times. For all the crticism about the relationship with Honda, the engine troubles continue to reduce their title chances. Remember, this was supposed to be the most exciting driver line up on the grid, but they are failing to deliver this season due to the engine issues. Another stunning result for Force India. 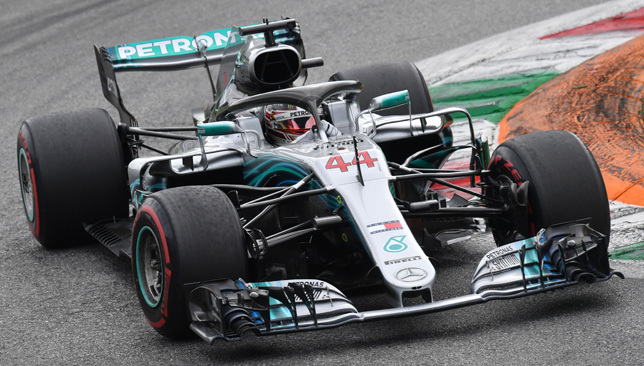 Esteban Ocon and Sergio Perez shone in Italy to finish seventh and eighth respectively – their fourth joint top-10 finish in the past five races. The duo showed once again that they have the potential to threaten the bigger midfield teams, especially in the European races. Their 10 points scooped means Force India are now eighth in the constructors’ championship – nine points ahead of Sauber and two behind Toro Rosso. 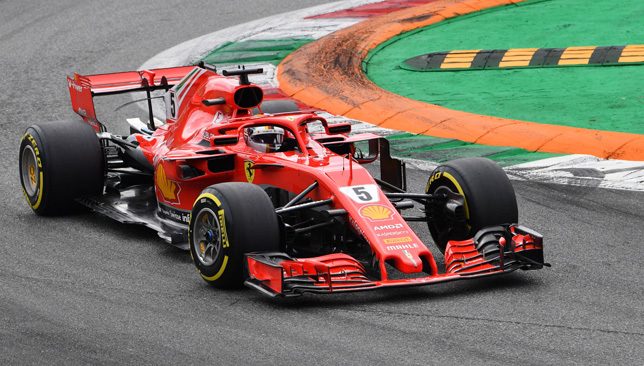 Kimi Raikkonen smashed Formula One’s all-time fastest lap record as he outpaced team-mate Sebastian Vettel to grab pole position Saturday for the Italian Grand Prix. Ferrari locked out the front row of the grid with a blitz of speed that left defending champion and current leader Lewis Hamilton of Mercedes third, despite twice beating the record set at Monza by Colombian Juan-Pablo Montoya, in a Williams, in 2004. Raikkonen’s record lap was clocked in one minute and 19.119 seconds at an average speed of 263.586 kph (163.785 mph). He was one-tenth of a second faster than both Vettel and Hamilton who set up a memorable three-way finale in a dramatic session, all of them setting records along the way. It was Ferrari’s first pole on home soil at the Autodromo Nazionale Monza for Ferrari since 2010 and Raikkonen’s first pole in 12 years. At 38, he also became the oldest pole sitter since Nigel Mansell, aged, 41, took pole for the 1994 Australian Grand Prix.